So, you’ve just returned from the best adventure of your life and you’re not really solure what to do with yourself. Spending time at the Disney Parks can be incredible but returning home can be devastating when you’ve spent time running around the most magical places on earth. You miss Disney because, for a short period of time, you were able to escape a monotonous life and spend time somewhere more magical. You had the time of your life but now you’re back home and have to return to work with the knowledge that you probably won’t be as happy as you were in Disneyland. You could combat this dread of monotony by filling your time with other forms of escapism. If you still own a PlayStation 1, you might want to check out the Hercules game or the racing game released by Walt Disney World, in which you can play as your favorite characters and race around the theme park. If the nostalgia doesn’t quite scratch your itch for a thrill, you could check out some of the slots that can be found via Bonus Casino and even go get yourself a casino bonus you like. There’s nothing like putting off the present when you’re thinking about all the fun you had in the past. Disney films have been bringing the hardest-nosed people out of their funk for decades. A Disney marathon with your friends might not be the same as heading around Magic Kingdom but it might be the magic that you need to lift you out of your post-holiday blues. You could start with classic animations and work your way forward, or perhaps take some inspiration from your trip and watch some that you’ve never seen before. With friends, a huge bowl of popcorn and some classic Disney films, you’ll feel better in no time. For those who have never been to Disney, the magic can be quite hard to comprehend. 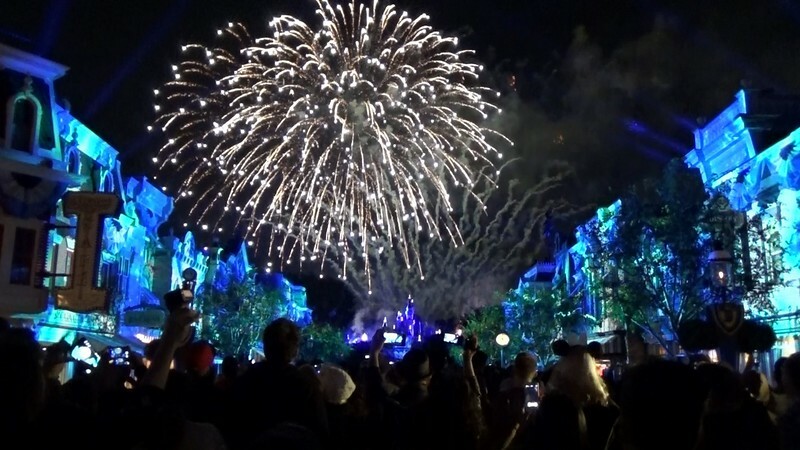 One of the most magical moments at Disney is the fireworks display held in the evenings at the Magic Kingdom. Fireworks light up the park and especially the castle, which makes for the perfect end to a Disney day. If you’re missing the magical glitter of evening fireworks, you could grab some sparklers and recreate swirling shapes in your back garden. You may not quite reach the grandeur of the Disney parks, but you can have a little bit of fun with some glittery fire. If that doesn’t quite hit the spot, you’ll find plenty of videos on Youtube of the Disney displays and, if you use surround sound and turn all the lights off, you could pretend that you are there. One of the best parts of heading to Disneyland is being able to meet all of your favorite characters. Middle-aged men become kids again at the sight of Baloo trudging around the park, and women remember the moment they first felt like a warrior princess when they meet Pocahontas. People fill autograph books with their favorite characters’ signatures, and you pity the person inside the Stitch costume because they’re always getting squeezed to death by adoring fans. To combat your Disney blues, invite your friends to dress up as your favorite characters and you can all have dinner together, it’s not quite Magic Kingdom but you may just feel a little bit better as you squeeze your friends. It is always difficult to return from an incredible holiday, especially when you have been somewhere as incredible as a Disney park, but you can keep the magic alive until your next trip and, if you’re feeling blue, you can always just scroll through your photographs.